Every year, thousands of children enjoy visiting the Sydney Young Artists Art School to experience our art programs and classes, school holiday art workshops and themed art parties. Our carefully structured approach to education is designed to give students a rewarding art experience in a nurturing, creative and inspiring environment. Young Artists educational art programs are designed by qualified educators who specialise in art education for children. We develop technical skills in drawing, painting, mixed media, printmaking, collage, clay, sculpture, ceramic painting and glazing. Our age appropriate programs and classes give students confidence by allowing them to experiment with a wide range of media. We teach art terminology and help students recognise their own strengths and weaknesses as artists. Programs and classes also change from term to term, meaning students stay interested, and challenged. We aim to make our programs enjoyable for the children because they learn more when they enjoy what they are doing! Young Artists is located in the Hills District of Sydney, NSW. 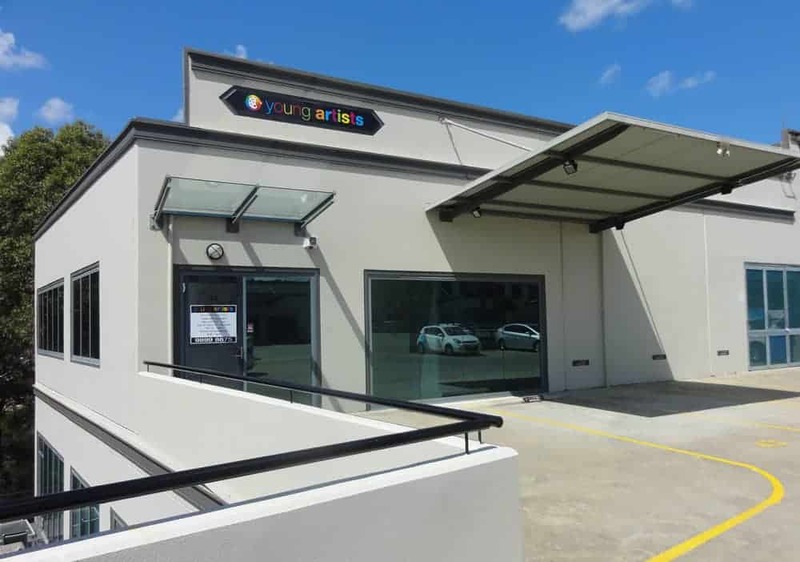 Our professional, child friendly and light filled studio space is located in a safe area away from busy roads at Unit 43, 9 Hoyle Avenue, Castle Hill. There is parking at the front door. All Young Artists teachers have had a working with children check. Jane Blatchford was born into an artistic family in a small NSW country town. Her father was an art teacher early in his career and her aunt and uncle are both well recognised artists. As a young child Jane was always making things under the guidance of her creative family. By the age of 6 she was designing and making Barbie clothes and crocheting colourful cushions and blankets. By 9 Jane was lucky enough to receive art tutoring from her talented aunt in the country town of Forbes. It was at this time and with this positive encouragement that Jane discovered her love of art. Jane remembers her own experience of growing confidence and pleasure in her creative skill, honed in these early years of art education. It is this same experience that Jane aims to provide to her students. Jane studied visual arts throughout high school, including her HSC. By the age of 16 she was helping a local artist paint a mural on the façade of Muswellbrook’s Regional Arts Centre. After school, she spent 4 years studying in Sydney at The City Art Institute, which is now known as The NSW College of Fine Arts (COFA). 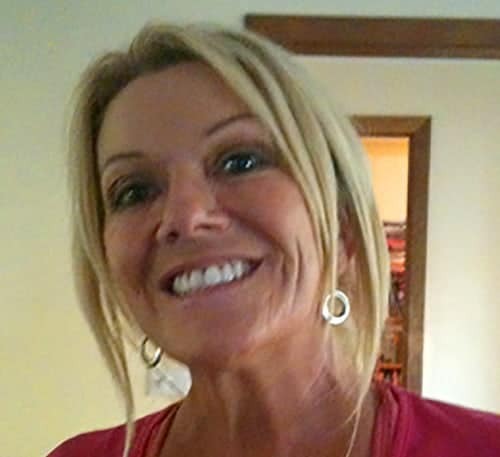 Jane completed her Bachelor of Education in Visual Arts and majored in drawing. During her youth, Jane regularly visited her uncle’s art gallery in The Blue Mountains to see exhibitions of his work. He was also an art teacher and let her borrow many art reference books, which were vital to her studies in a time without the internet. Jane has also studied portraiture and figure painting at the oldest running Art School in Australia, The Julian Ashton Art School. Even the easels she worked on there are heritage listed! With over 30 years of experience teaching Visual Arts and Design and Technology, Jane has worked in both government and independent schools. Many of her students have gone on to tertiary studies, and she would like to believe, a lifetime enjoyment of art. Jane has predominately taught in secondary schools, but is experienced in teaching infants and primary school children, and operated an art studio prior to opening Young Artists. Alongside teaching Jane started her hand painted giftware business, “JFB Designs” back in 1996. JFB Designs produced painted glassware, coasters and jewellery boxes for 15 boutique shops throughout Sydney. A number of these products have featured in home and decor magazines. The birth of three beautiful children meant life became too busy to continue this business. While Jane has exhibited some of her artwork over the years, teaching children art has always been her key interest. Now that her children are getting older, Jane hopes to spend more time painting. Jane wants children to create art for pleasure without fear of criticism or judgement. Jane does not want children to be worried about grades – she wants to create future adults who love and enjoy the process of creation. It is for this reason that Jane started upon this next stage in her artistic journey. It had been a dream of hers for many years to open the Young Artists Visual Arts School for kids and teens. It finally happened on July the 12th, 2010. The slogan “Joy Creating” says it all. By enrolling your children at Young Artists, you are empowering Jane’s dreams and passion for art, and cultivating a similar attitude in the lives of your own family. Manjula Sri-Pathma has over 20 years of teaching experience, and is passionate about the visual arts and creativity. Manjula has a Bachelor of Fine Arts and a Master of Arts from the College of Fine Arts UNSW, and a Diploma in Teaching from the University of Sydney. Manjula is experienced with a range of media and creative techniques, and holds a wide knowledge of art history and art criticism. After exhibiting her paintings for a short period, she has dedicated her skills and creativity to teaching people of all ages. As a visual arts teacher, Manjula enjoys the privilege of watching students develop their artistic skills as they age. A number of her students have had artworks displayed in the prestigious annual Artexpress exhibition. 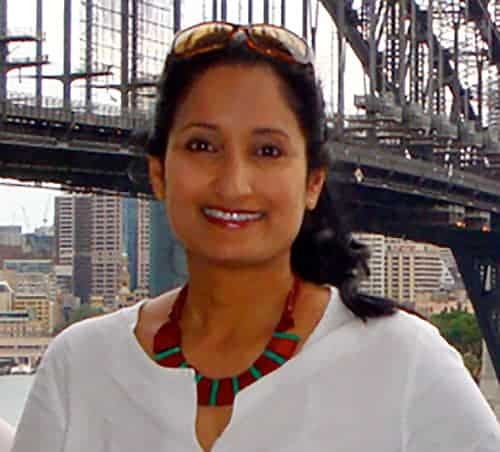 Manjula continues her pedagogical interests and is currently a University Practicum Supervisor with the Australian Catholic University (ACU), assessing new teachers’ application of teaching and learning practices. Manjula has a Diploma in Development Studies from Macquarie University and combines her passion for art with her humanitarian voluntary work. She is a passionate mentor and volunteer in art workshops for under privileged women and children from many community groups. Karen Carter has been working in the book publishing industry as a graphic designer and illustrator for over 25 years. During this time she has illustrated more than 35 books and designed many more. Her initial training was at Randwick TAFE, participating in their prestigious Graphic Design and Illustration Program. This program covered all aspects of design and typography as well as fine arts and photography. Karen furthered her education with watercolour and life drawing classes under the guidance of a well-known artist. Karen works predominantly in watercolour and acrylics, yet has been working increasingly on digital illustrations. Karen has exhibited chalk pastel art works and has produced numerous commissions. She is in the process of working on her next exhibition of mixed media/acrylic pieces. 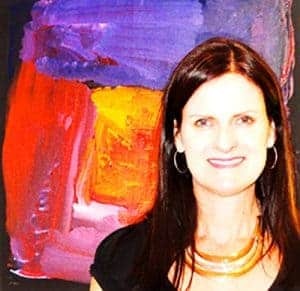 Prior to teaching at Young Artists, Karen taught after school art classes at a local primary school for over 10 years. Karen loves working with children and emphasises fun and creativity whilst encouraging students to develop their own sense of style. Positive reinforcement is always important in her classes. Karen lives with her husband and three children, along with their dog Roxy and two curious cats! 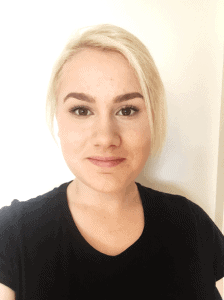 As a new member of the Young Artists team, Ming-Ming endeavours to unleash the creative potential embedded within all students through fun, dynamic and inclusive art lessons. At the core of her pedagogical practice lies the enjoyment of guiding students to develop their individual art styles, and celebrating challenges or mistakes as a means to compose something that is innovative and imaginative. Ming-Ming has a Bachelor of Fine Arts/Secondary Education. Throughout her time at UNSW Art and Design, formerly known as COFA, she was engaged in contemporary, interdisciplinary artmaking practices which allowed her to extend her craft in experimental ways. In the classroom, this knowledge is integrated within art experiences to make learning meaningful for all students. Such art experiences involve drawing, painting, sculpture, photography, printmaking, ceramics and mixed media. 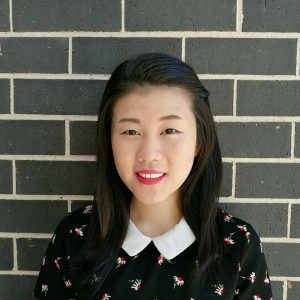 Alongside training in secondary education, Ming-Ming has prior experience working with primary school students through the UNSW GERRIC student programs as a workshop assistant, student mentoring programs and as an art tutor for over 5 years. Similarly to her previous art teachers who reinforced notions of creative freedom and exploration, Ming-Ming aims to instil a love for art and inspire students at Young Artists. Alex completed her HSC in 2016, with a focus on creative arts. She was awarded the highest accolade by the NSW Board of Studies for both her major works, with her Visual Arts artwork selected for ARTEXPRESS and her Costume Design project selected for OnSTAGE. These exhibitions showcase the works created by the top HSC students in the state from the Visual Arts and Drama disciplines. Alex is currently pursuing a Diploma in Live Production at the Design Centre in Enmore. Here, she is furthering her studies in illustration, graphic design, special effects makeup and set production, allowing her to marry her love of illustration with her interests in movies, cosplay and costume design. No stranger to Young Artists, Alex was a student here herself for over 5 years, and a Teacher’s Assistant for 4 years. She is well known and liked by many of the students. In her spare time, Alex is also illustrating a children’s book series, and working on a number of commissioned illustration projects. Alex holds a keen interest in the comic book genre, and is passionate about Manga and Anime. She has gained popularity on her social media pages by her many likeminded followers. She is keen to share her passion with the students at Young Artists and give back to the community that has nurtured and supported her so well. Young Artists is found in the Hills district of Sydney. Our professional light filled warehouse studio space is located at Unit 43, 9 Hoyle Avenue, Castle Hill NSW 2154.